Russ Krachun shares his philosophy his original methodology of working in the round pen in “Discover Horsemanship Philosophy & Methodology in the Round Pen”. 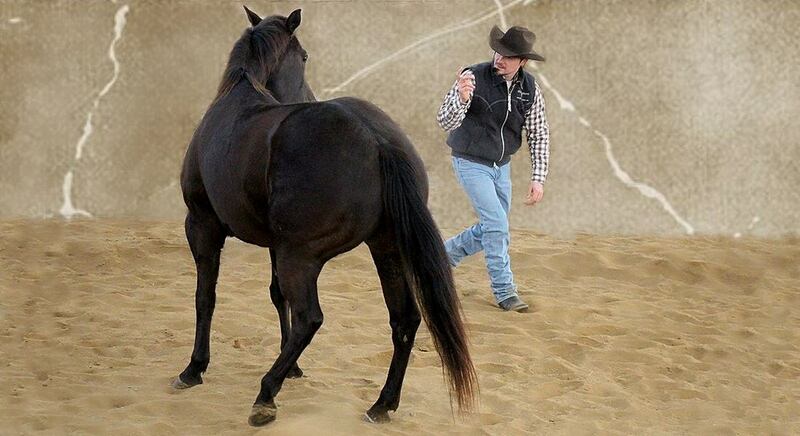 Learn fifteen signature steps that connect and build to one another to develop understanding, willing responses and improved mental and physical abilities in both the horse and the horseman. This education is essential in developing a foundation that will lead to success in our future education with our horse. 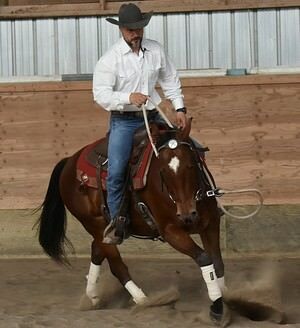 Participants attending this clinic will work directly with horses of Kozak Horsemanship. Each participant will receive direct instruction with Russ Krachun and work with horses of various ages and personalities. 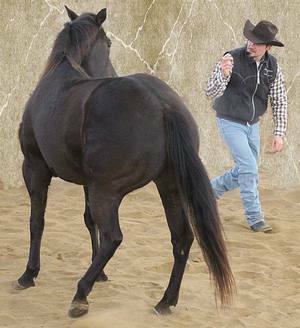 Participants will learn how each method connects to the next method, and how their own physical and mental abilities contribute to their communication and understanding with each horse. Participant Requirements: Participant should be confident on the ground with the horse and have the physical ability to use a flag, lariat, rope halter and horsemanship rope. Each participant is required to sign liability waiver and photo & videography waivers. Equipment Required: Rope Halter, 15 foot Horsemanship Rope, Lasso, and Wand with string and flag, Helmets are also required for each participant. Equipment required for this clinic may be individually purchased at the Kozak Horsemanship Facility, or participants may rent the “Foundation Kit” which includes all of the required equipment, for $15.00 plus HST for the duration of the clinic.